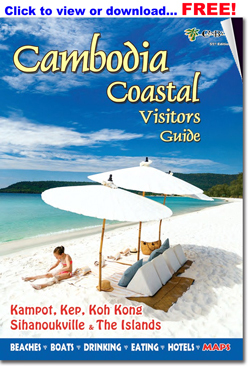 Most visitors to Cambodia's islands are happy to do little more than relax and sunbathe on the gorgeous beaches. If you're looking for something more adventurous, there are many activities to keep you busy on the islands. The waters off the islands offer dozens of good SCUBA DIVING opportunities. The rocky reefs surrounding Koh Rong, Koh Rong Sanloem and Koh Kon, support corals and abundant colorful sea and fish life. Visibility is best during the dry season from October to June, and most of the dive sites, especially at the nearby islands, are comparatively shallow, to around 15 meters. The more distant Koh Tang, Koh Prins and Poulou Wai offer the best diving locations, superior visibility as well as deeper dive sites. 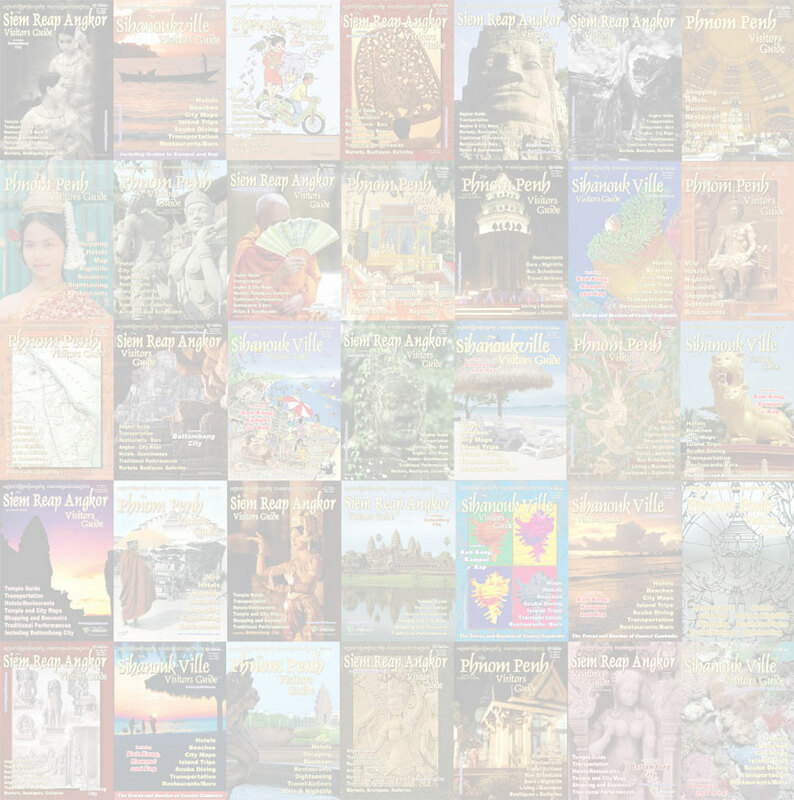 There are several dive outfits located in Sihanoukville as well as on Koh Rong and Koh Rong Sanloem offering everything from fun dive to certification. The dive outfits can also help organize trips to the more distant islands including Koh Tang and Koh Prins and even Condor Reef. You'll find ample SNORKELING opportunities on all of the islands, and most of the bungalows have snorkel equipment to rent for under $5. It's also sometimes possible to tag along on one of the diving trips that leave if you'd like to snorkel further afield. Although most of the islands aren't very big, Koh Rong and Koh Rong Sanloem are big enough to offer multi-day TREKKING opportunities, and there are a few marked paths for shorter trips. Inquire at your guesthouse for more details. BIRD WATCHING opportunities abound, especially on the smaller islands of Koh Ta Kiev and Koh Thmei, which is home to over 150 species. 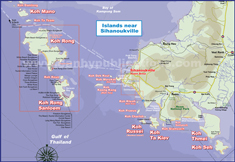 ISLAND-HOPPING DAY CRUISES and PARTY CRUISES are available from Koh Rong (map) and Koh Rong Sanloem (map), but it's best to organize from the mainland if you're looking for something other than a day trip. The island hopping cruises are the same as from the mainland: two or three islands, a barbecue lunch, some snorkling and fishing and a chance to visit a couple of the smaller, less inhabited islands. Those who enjoy FISHING will find lots to do on the islands, from spear fishing on Koh Ta Kiev to overnight boat trips. And you can get in some casual fishing on the island hopping day cruises. Most have basic equipment. Fishing trips can be organized from Sihanoukville or the big islands, though you have a better selection in Sihanoukville. The local waters are warm (consistently between 27-31C) and though visibility can be quite variable, especially during the monsoon season. In the diving season from October to June visibility ranges from 10-25 meters on good days, even at nearby islands such as Koh Rong Sanloem - better at more distant sites such as Koh Tang. Most of the dive sites are comparatively shallow (around 15 meters) and gentle currents around the islands allow drift diving over the reefs and outcroppings. Koh Tang, Koh Prins, Poulou Wai Some of the best diving in the area lay 4-8 hours southwest, around Koh Tang, Koh Prins and Poulo Wai. The area has rocky reefs, depths of 15-40m and much better visibility than reefs closer to shore, ranging from 10-30m, usually around 15m. Koh Prins has two shipwrecks to the northwest at 30-40m. Koh Tang is a favorite diver’s destination. The island played a major role in the 'Mayaguez Incident' and still shows the scarring of the May 1975 battle between American and Khmer Rouge forces. The surrounding waters offer several reefs and outcroppings displaying a particularly colorful variety of hard and soft corals, an abundance of other marine life, and consistently good visibility.